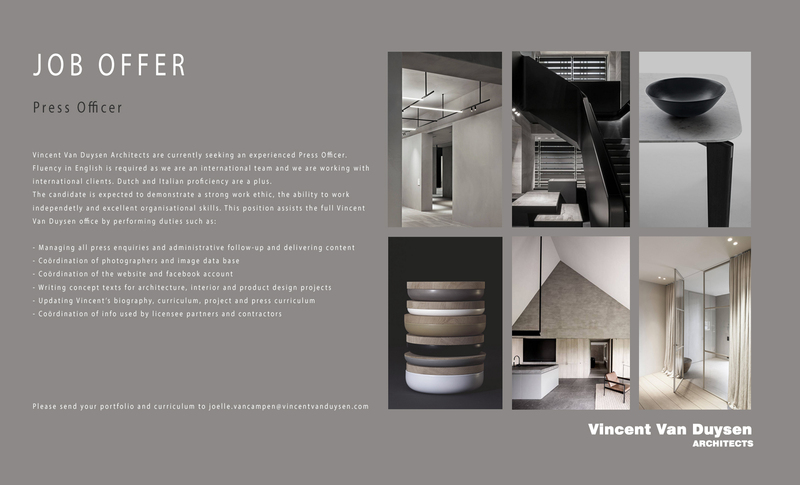 Vincent Van Duysen Architects are currently seeking an experienced Press Officer. Fluency in English is required as we are an international team and we are working with international clients. Dutch and Italian proficiency are a plus.